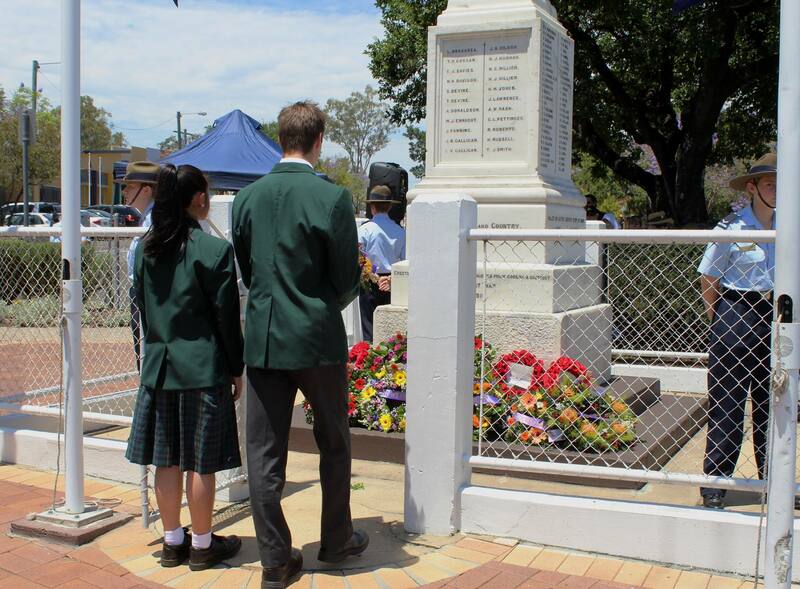 This morning, Westside’s Captains-elect attended Goodna RSL’s Remembrance Day Ceremony, celebrating the 98th anniversary of the Armistice that ended the War To End All Wars. The service, organised by the Goodna RSL Sub-branch is always the first official function of our Captains-elect. They rose to the challenge, demonstrating maturity and great introspection. Our Girls Captains both read poems, and our Captains, Spencer Wilson and Patricia Mercado, laid a wreath on behalf of Westside Christian College. The moving ceremony was attended by a number of veterans and dignitaries, including Deputy Mayor Mr Paul Tully. Follow our Facebook page for more information and photos.